Conditioning. That is one of the key features separating the amateur from the serious or professional athlete. And conditioning is what determines how an athlete resists injury or how quickly he or she recovers if injured. Nothing can replace conditioning. But if you want to avoid injury and optimize your game, or recover from an injury, there is a great deal you can do in addition to conditioning… something that even conditioning will not accomplish. That is, balance muscular, skeletal, and neurological function by experiencing the specialized procedures of applied kinesiology diagnosis and treatment. Applied kinesiology is a special branch of chiropractic medicine. Let us take a common example. If you play tennis or watch it as a spectator, notice how many participants in the sport are wearing knee, wrist, or elbow braces OR have their ankles taped to prevent sprains. Why is this type of persistent injury so common and why is it not being addressed? You would think that the world’s leading tennis players have access to the world’s best doctors. Sadly, that is not the case. The above observations are sad because literally, world titles in tennis can depend on whether a previously injured ankle sprain is strengthened before a match. Taping the ankle is a band aid. Using the applied kinesiology procedures of repairing the damaged musculo-tendinous insertion of the three peroneus muscles of the leg that prevent the ankle from turning in is true repair. Further, any compression to spinal nerves that weaken the leg and ankle muscles can be located and corrected chiropractically so that the ankle is stabilized. When this is done, the ankle will tend to have its normal resistance against sprains and can heal fully over the long run – and is much stronger right after the corrective procedure just described. Amazingly, there was a discovery made in applied kinesiology over thirty years ago that a particular type of locking of bones in the lower neck has a direct neurological influence on weakening a small but powerful muscle in the back of the knee. 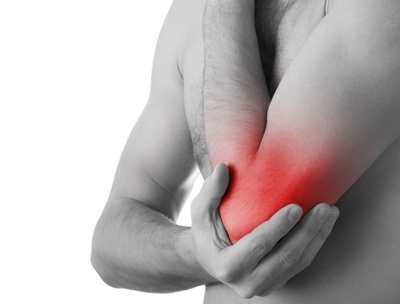 That muscle, called the popliteus, provides essential stabilization of the joint. In many cases, when that neck block is adjusted and removed, knee strength returns to normal and knee braces are no longer needed. These are just two examples of dozens of ways chiropractic applied kinesiology can prevent injury and help recovery from sports injuries.